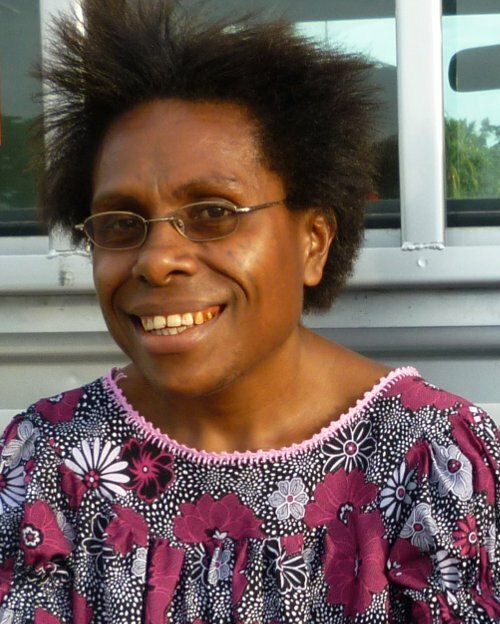 Fifty-two-year-old Rosa Koian is a pioneering environmental and human rights activist in Papua New Guinea, where she’s been unafraid to fight for the rights of women and village people against exploitation by transnational corporations or extractive industries. As powerful Western interests make inroads into Papua New Guinea, Rosa has been a vocal champion of a more culturally sensitive development model, one that benefits all people and honors her country’s communal way of life. This portrait of Rosa Koian was first published by the Pacific Community for the 70 Inspiring Women campaign, it is reproduced here with their permission.